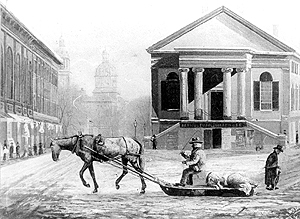 Portland Public Library Special Collections & Archives : Almanacs Finding Aid. Archival finding aid for PPL's collection of historic almanacs, with imprints between 1755-1970. Portland Public Library Special Collections & Archives, "Portland Public Library Special Collections & Archives : Almanacs Finding Aid." (2009). Books and Documents. 4.